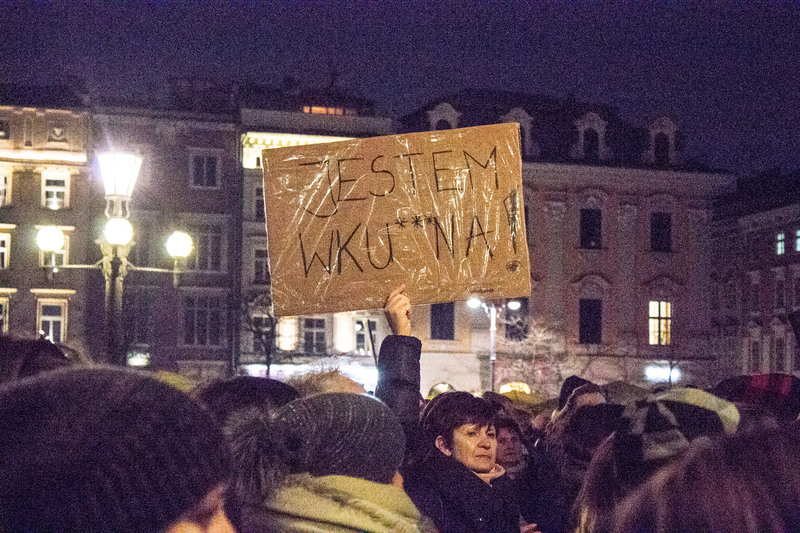 “Fury”: This was the theme of yesterday’s Czarny Piątek (Black Friday), in which thousands of demonstrators gathered in cities across Poland (and at solidarity gatherings abroad) to protest a renewed push by the government to outlaw abortion. 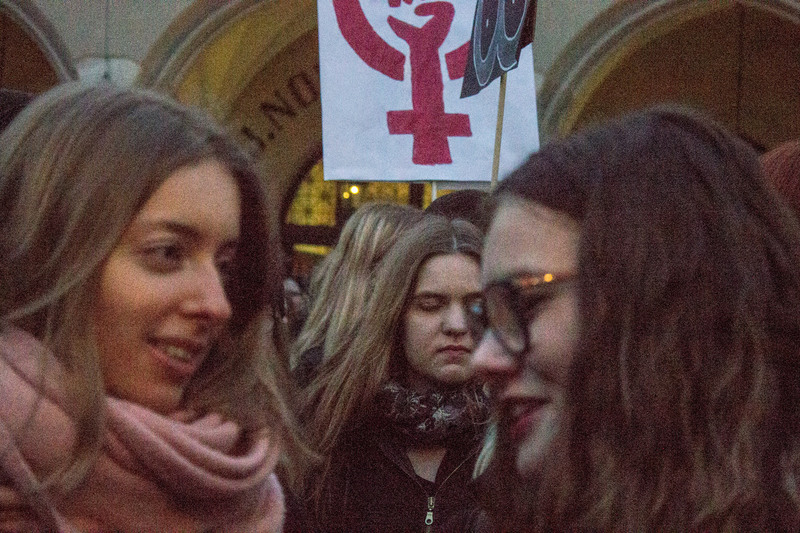 It is an echo of 2016, when the ruling right-wing PiS government proposed a similar policy and provoked a historically unprecedented wave of female activism. The bill was ultimately withdrawn after overwhelming protests. 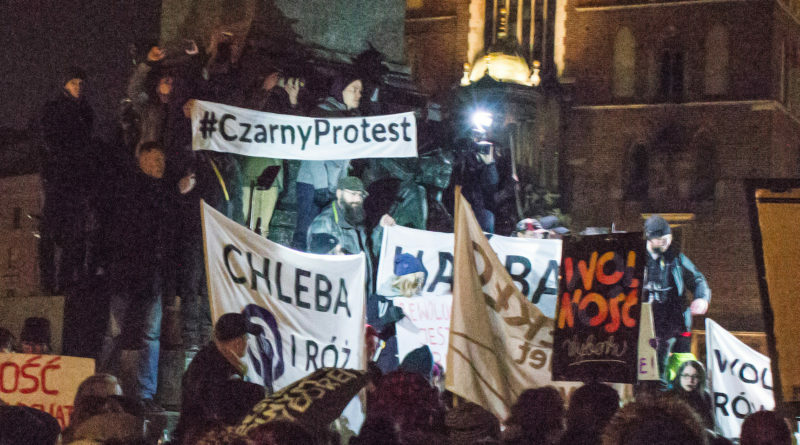 There have been similar demonstrations since then under the same “Czarny” banner, but this is the most significant, and with reason: it comes in response to a renewed push by the government to enact a nearly total abortion ban through a bill which is making its way through Parliament, and which President Andrzej Duda has promised to sign. The current law, which most Poles support, permits abortions only in cases of a sexual crime, a life-endangering pregnancy, or major defect in the fetus. While it is difficult to say how many illegal abortions are performed, estimates range from 10,000 to 150,000 annually, compared to 1,000 to 2,000 legal procedures. The new bill is slightly less harsh than its predecessor in that it removes criminal penalties for people who have abortions. PiS representatives insist that it is aimed at protecting fetuses which have congenital defects such as Down’s Syndrome, which account for a significant number of terminated pregnancies. 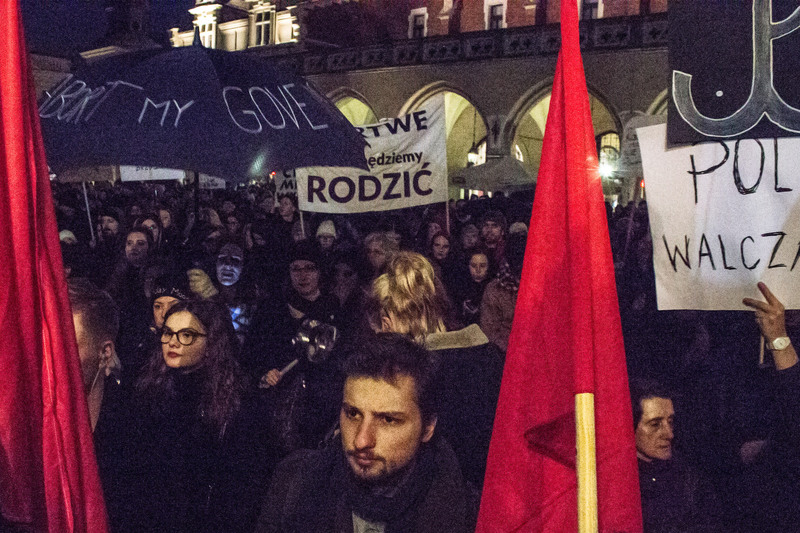 Although the largest demonstration was in Warsaw, thousands of Cracovians also filled up the local Main Square. 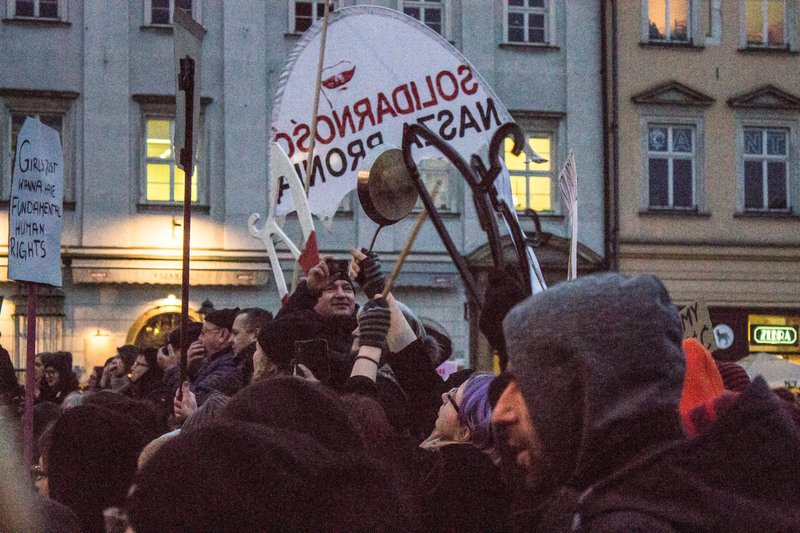 They shouted slogans such as “Hańba” (“Shame”), “Prawa kobiet prawami czlowieka” (“Women’s rights are human rights”), and “Nie zamykamy parasolek” (“We will not close umbrellas” – which, along with coat hangers, have become a symbol of the movement). 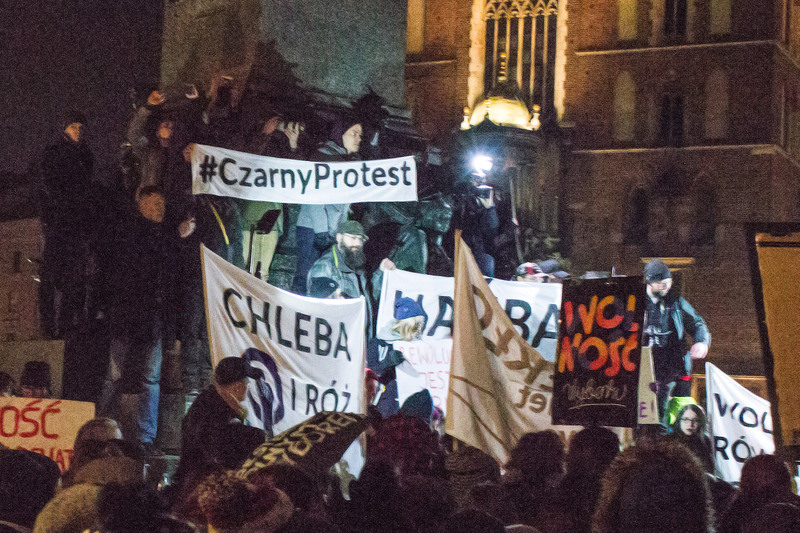 Speakers addressed not only abortion, but also issues such as the difficulty of obtaining birth control medication (which doctors in Poland may decline to prescribe on ethical grounds), poor access to gynecologists by patients with disabilities, domestic violence, and insufficient action against pedophilia. Anna Starowicz contributed to this article. Murder is not a “human right”, the right to LIFE is…including those who are sick, disabled and defenseless. Without the mother, the foetus/child could not even exist, therefore her rights come first. Ok , will YOU provide support for this unwanted children in the future?Give them accommodation, eduction and finance? The answer is NO, you know that. I also don’t want to provide for the homeless. Moreover, they are actual life failures. So, let’s abort them. You and those like you use emotive language to shock. It’s a collection of cells incapable of supporting themselves, it’s not a human being. Do you want women to be treated as simply brood mares and will you support the unwanted child?